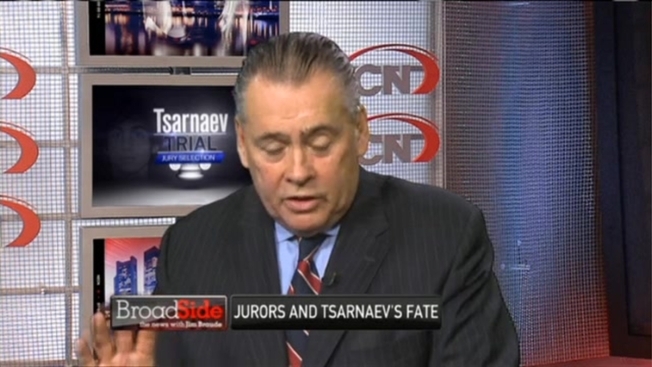 Attorney Phil Tracy joined Joe Battenfeld on Broadside to discuss the juror selection process for the Tsarnaev trial. Some reporters say Dzhokhar Tsarnaev smirked, others described him as awkward, looking down and picking at his beard. The 21-year-old faces 30 charges, including use of a Weapon of Mass Destruction and killing an MIT police officer. In Boston, potential jurors for the first time set eyes on Tsarnaev. Months from now, 12 of them will decide the fate of the accused terrorist. Attorney Phil Tracy, former prosecutor in Suffolk County, joined Joe Battenfeld to discuss what's on the jury questionnaires in the Boston Marathon bombing trial. While some of the questions will be obvious, such as if they've ever been involved in the law and if they have any biased against Muslims, Tracy noted, the key question to jurors will be whether they are comfortable giving the death penalty should a compelling case be made.